I make a lot of things strawberry here, like our strawberry pie and strawberry soup. Strawberries are healthy and delicious and the kids love them. I may have mentioned our first strawberry of the year dance we have when our garden produces it’s first berry. Yes, we do. Don’t judge. 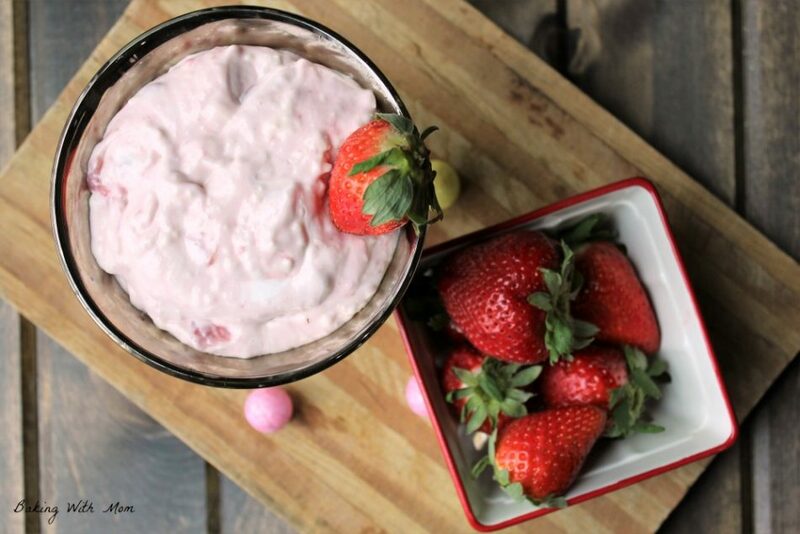 This dip is simply 3 ingredients, as long as you don’t count the 1 tablespoon of water I used with the strawberries. It is simple, tasty and so easy to throw together for your family or guests. Any fruit will work with this dip. 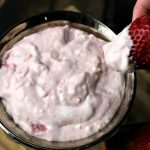 The dip, of course, has strawberry in the title, but I would say apples and grapes would be delicious with this dip as well. I also think it would great as an addition to these fruit nachos. Nachos, fruit, cream cheese? I think yes. Simply mix the cream cheese and marshmallow fluff together. When I say marshmallow fluff, I mean this. To make the strawberry puree, it is a simple stove top step. I took about 4 strawberries, sliced them, put them in a saucepan. Now you let them cook for about 5 minutes with 1 tablespoon of water. 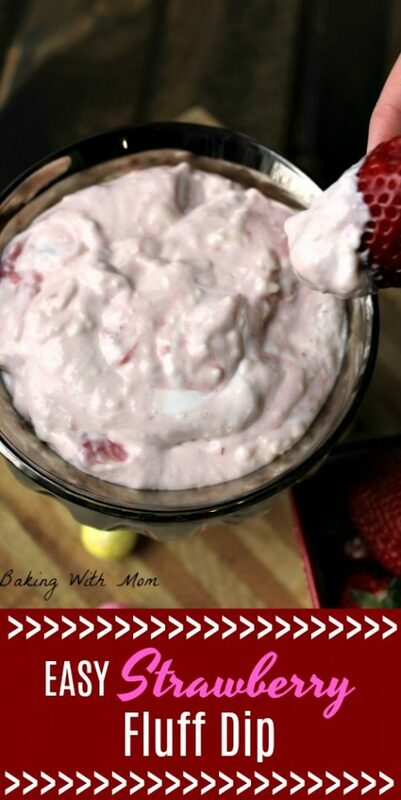 Mash them down with a glass or some other masher and you have strawberries to mix into your dip. Easy delicious dip recipe your family will love. If you try the dip, please come back and leave a review! I love to hear your input! 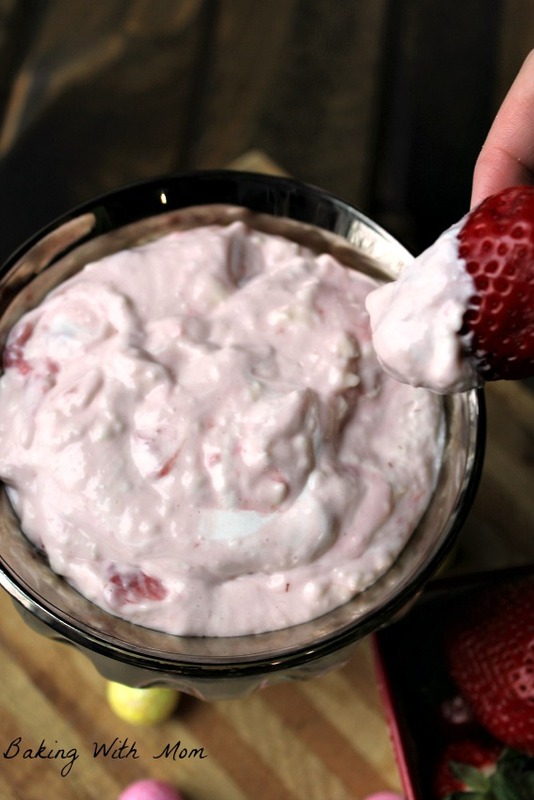 Easy to make dip great for the summer berries. Enjoy the 3 ingredients ease of this dip.